The European Physical Education Association (EUPEA) is the umbrella organisation of the national Physical Education Associations in Europe, representing approx. 200.000 individual members (Physical Education teachers) in 32 countries. EUPEA’s vision is to promote Physical Education as an important educational area within the school system and the training of young people. Its mission is to guarantee the presence of Physical Education within the curriculum through a continuously adjusted and actualized argumentation and lobby for the position of Physical Education in all countries of Europe. One of EUPEA’s core objectives is to continuously investigate the situation of Physical Education in the different member countries in Europe. EUPEA’s specific expertise lies in the field of Physical Education (PE) as well as in Physical Education Teacher Education (PETE). 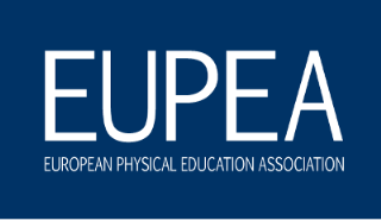 Besides that EUPEA has an excellent multilevel-Physical Education network in Europe consisting of National Physical Education Teacher Associations, Physical Education teachers and corresponding schools.